That Greenville brings out the pride in a wide range of locals who have their own ways to enjoy the city. So, we’ve asked several to share how they enjoy Greenville’s outdoors, family fun, music, art, food, farms, shopping, etc. There’s sure to be an itinerary here to match almost every taste. 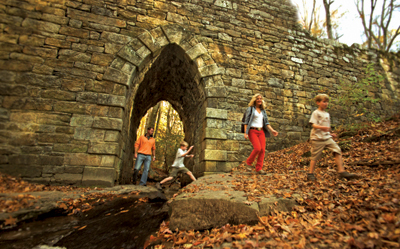 From Downtown Greenville to Landrum and Travelers Rest, there are some spectacular sites to behold in our foothills. With so many streams and rivers criss-crossing through our towns and backwoods, it&apos;s no surprise to find a collection of bridges, from the historical to the modern, that provide gorgeous views, lovely pictures, and fascinating legends. Each one is magical in its own way, so prepare for a fun day of touring our famous bridges! Start your morning in the heart of downtown Greenville: Falls Park on the Reedy. Spend the morning walking and exploring this 32-acre park, a beautiful green space in the middle of a bustling downtown. There are plenty of trails to walk and sites to find and explore, such as the Old Mill Ruins and Garden and the River Lodge. But save the best for the last...The Liberty Bridge! This spectacular, one-of-a-kind pedestrian bridge is truly remarkable. Insider&apos;s tip: You&apos;re standing on a multi-award winning bridge designed by a multi-award winning architect, Miguel Rosales. First, enjoy its majesty from the park below--truly an engineering marvel. Then, take either the stone steps or the elevator up and enjoy the breathtaking view of the waterfalls from up on the bridge. Be sure to take plenty of photos...it&apos;s the only bridge like it in the United States! Feeling hungry? Well, you don&apos;t have to go far. Just west of the entrance to Falls Park on the Reedy sits Mary&apos;s Restaurant at Fall&apos;s Cottage, the perfect place for lunch. Maybe a Grilled Pimiento Cheese BLT? Or perhaps a Turkey, Apple and Havarti Croissant? Either way, you can fuel up for more exploring! Time to head north towards Travelers Rest, as Bridge #2 awaits! Take U.S. 25 and turn right on South Carolina Highway 11, otherwise known as the Cherokee Foothills National Scenic Byway. SC 11 is a gorgeous highway that will bring you past waterfalls and amazing views of the nearby Blue Ridge Mountains. It would be easy to dedicate an entire day trip to the Scenic Byway, but we&apos;re here to see the Poinsett Bridge. The oldest intact bridge within the State of South Carolina (dating back to 1820), the Poinsett Bridge is part of the 120-acre Poinsett Bridge Heritage Preserve. Its Gothic arch stone structure has been beautifully preserved, and seeing it takes you back to another time in history. If you listen carefully, you can almost hear horse hooves and the turning of carriage wheels. Insider&apos;s tip: The Poinsett Bridge is named after Joel Poinsett, who, among other things, is famous for introducing a famous holiday plant (the poinsettia) to the United States. Ready for yet another wonderfully preserved, historical bridge? Time to check out Campbell&apos;s Covered Bridge, located about 10 miles away from The Poinsett Bridge on U.S. 25. Dating back to 1909, Campbell&apos;s Covered Bridge is the only remaining covered bridge in the State of South Carolina. Constructed of pine and painted red, the bridge looks like something straight out of a movie! The bridge is located in a pretty park, where you can explore the foundations of the old grist mill and home site and enjoy the tranquility of Beaverdam Creek. As the sun starts going down, head back south towards downtown Greenville and enjoy dinner at Larkin&apos;s on the River. Located right on the banks of the Reedy River, Larkin&apos;s is the perfect place to enjoy one of Greenville&apos;s best steak dinners AND the gorgeous view of the river, Wyche Pavilion, and people-watching on the pedestrian bridge. After dinner, head over to the Rock Quarry Garden for a moonlit stroll through one of downtown&apos;s tucked-away gems. Located near Cleveland Park, this area was the site of a pre-Civil War granite quarry, hence the name! The stone footbridge is straight out of a fairytale and is the perfect spot to cap off a wonderful, bridge-exploring day. Can&apos;t get enough of our area&apos;s interesting bridges? Well, head up to Caesars Head State Park and check out the two-mile long Raven Cliff Falls trail. A suspension bridge across the 420-foot waterfall offers a spectacular overlook that will be the highlight of your day! Did you know that there are professionally guided tours that include many of these areas? Check out the West End Walking Tour hosted by Greenville History Tours to discover more of Falls Park and the Liberty Bridge. Be sure to check out this and other tours as they are Greenville Signature Experiences. 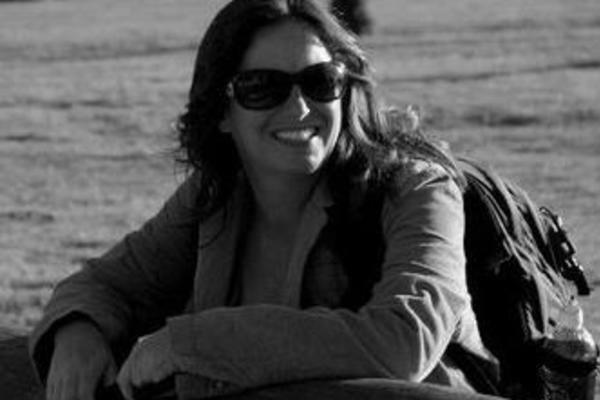 Jessica is an outdoors enthusiast, living in Greenville with her husband plus 1 horse, 3 dogs, and 1 neurotic cat.